(<?xml:namespace prefix = st1 ns = "urn:schemas-microsoft-com:office:smarttags" /><st1:place><st1:City>Taipei</st1:City>, <st1:country-region>Taiwan</st1:country-region></st1:place> — May 31, 2005) Shuttle Inc - the world’s leading designer and manufacturer of small form factor (SFF) PCs and accessories - has today released two new enhancements for its XPC products at Computex Taipei 2005. New products released today are the PN18 Wireless LAN Module and the PE20 Xtended Storage Enclosure. <v:shape id=_x0000_s1027 style="MARGIN-TOP: 0px; Z-INDEX: 2; MARGIN-LEFT: 147.5pt; WIDTH: 187.5pt; POSITION: absolute; HEIGHT: 129.75pt; mso-wrap-distance-left: 0; mso-wrap-distance-top: 0; mso-wrap-distance-right: 0; mso-wrap-distance-bottom: 0; mso-position-horizontal: right; mso-position-horizontal-relative: text; mso-position-vertical-relative: line" o:allowoverlap="f" alt="" type="#_x0000_t75"><w:wrap type="square"></w:wrap></v:shape>The PN18 Wireless LAN Module is a 802.11b/g compliant wireless kit with in-built support for WEP and WPA encryption standards. Designed particularly for Shuttle’s P and i chassis XPCs, the PN18 continues the innovative toolless design of these models with a simple slot-in installation the can be completed in seconds. 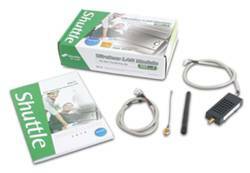 Bundled with the kit is Shuttle Access Point Software, a powerful utility which makes the process of building a home or small office network quick and easy. Compatible with all Shuttle XPCs, the PN18 is the optimal solution for users wanting to add wireless to their XPC systems. 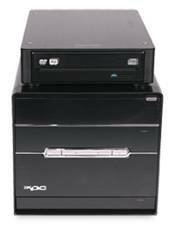 The PE20 Xtended Storage Enclosure makes it easy to add an additional hard disk or optical drive to almost any system. With USB 2.0 for universal connectivity, the PE20 can be fitted with any standard 3.5” or 5.25” drive with an IDE interface. The outer casing is made from tough yet light-weight aluminum for increased protection and portability, and is available in either black or silver finishes that match the award-winning stylish-design of the XPC and Shuttle’s 16X/8X DVD±R/RW accessory the CR40. 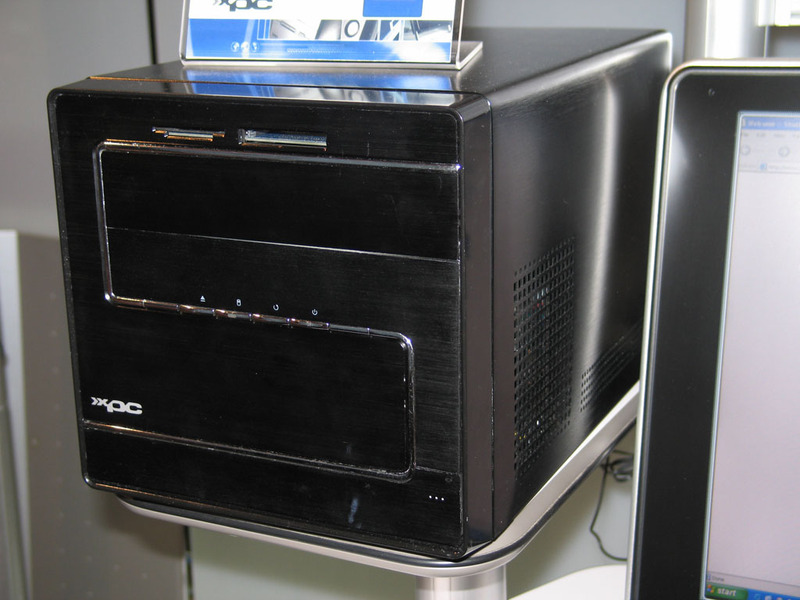 Whether users need to add an extra CD or DVD drive, or if they want an attractive but rugged case for storage on the go, the PE20 offers a versatile solution at an affordable price. 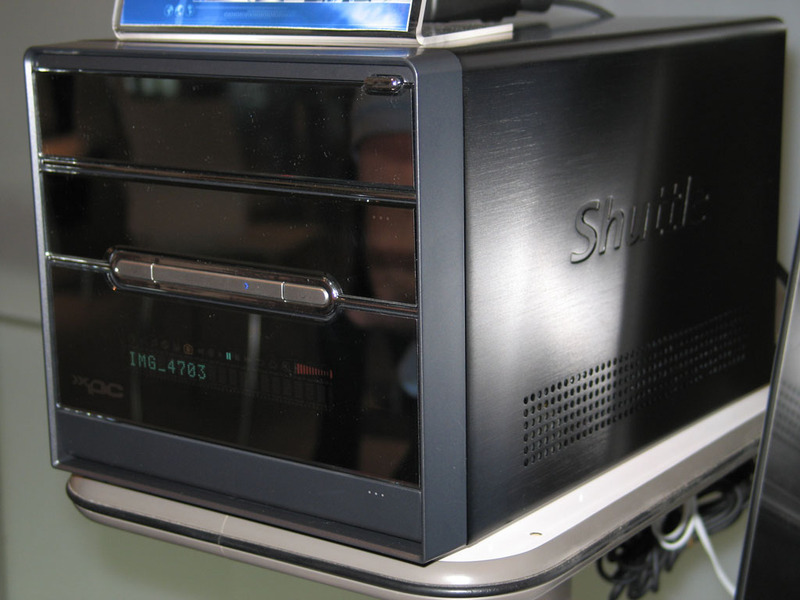 Shuttle will be demoing these two great accessories along with our industry defining SFF product-line at our booth and suite for the duration of Computex Taipei 2005. Contact details below.